I am absolutely thrilled to tell you that my new song "EIGHT" is out everywhere today!!! "Eight" is the 24th song (of 25) in my Atlas: Year Two series, and it's the 8th song in the Enneagramchapter - a song for each of the nine unique and beautiful Enneagram types. If you identify as a type Eight, my hope is that this song honors you- that you feel respected through it. I hope that it underlines your gifts of strength and gentleness. You are remarkable and vibrant human beings and we need you. We need your muscle, your mercy, your invincibility and your vulnerability. Wanna hear the birth story of "Eight"? 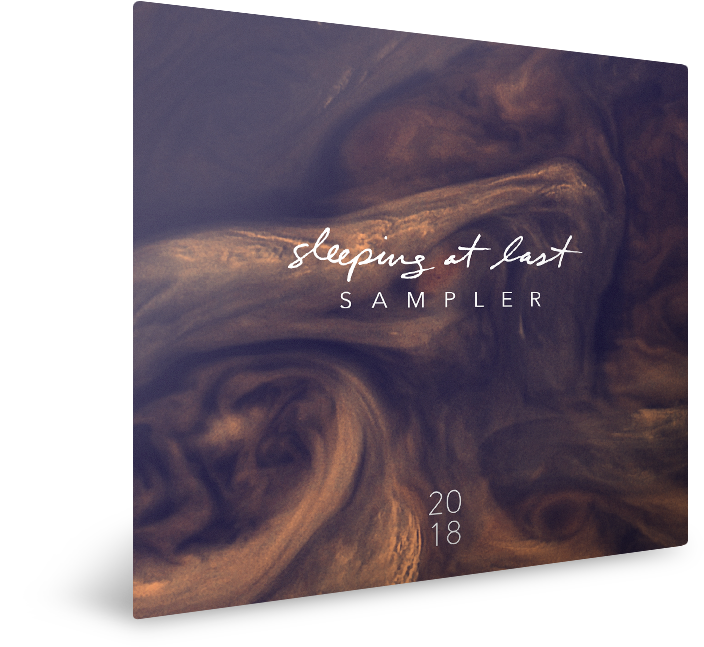 Episode 17 of The Sleeping At Last Podcast is out NOW too, and it's to the brim with Eightness - I get to show you what/why/how these sounds and ideas became a song and talk about who these powerhouses of the Enneagram are. Joined by resident Enneagram expert (and type Eight), Chris Heuertz (buy his book!!) I'd be honored for you to give it a listen! And if you're up for it, please consider subscribing to the podcast! My guest band: Chad O'Neal played Drums, David Hodges played Guitar, Wurlitzer, misc., Busbee played Trombones, Anya Gerber played Violins, Sara Maria Blanton played Violas & Daisy Klimala sang BGVs. Jason Locy - "I'm not an Eight"
Jeremy Courtney - Song of Praise, Airstrike in Mosul. and i grew up too quick. and all i've lost in the fight to protect it. i can't afford, no, i refuse to be rejected. i want to break these bones 'til they're better. i want to break them right and feel alive. my healing needed more than time. now i’m a broken mirror. all i’ve lost in the fight to protect it. i can't let you in- i swore never again. i can't afford to let myself be blindsided. and all i want is to trust you. for long enough to let you through. here i am, pry me open. i’m all in, palms out, i’m at your mercy now and i'm ready to begin. i am strong, i am strong, i am strong enough to let you in. i will pull my whole heart up to the surface. i'll show up on the front lines with a purpose. an ocean of tears will spill for what is broken. invincible like i've never been.